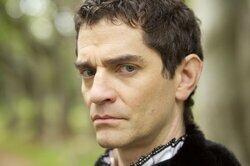 He played a major role in King Richard III's rise and fall.He is also one of the primary suspects in the disappearance (and presumed murder) of the Princes in the Tower. Buckingham was related to the royal family of England in many different ways, but his connections were all through daughters of younger sons. 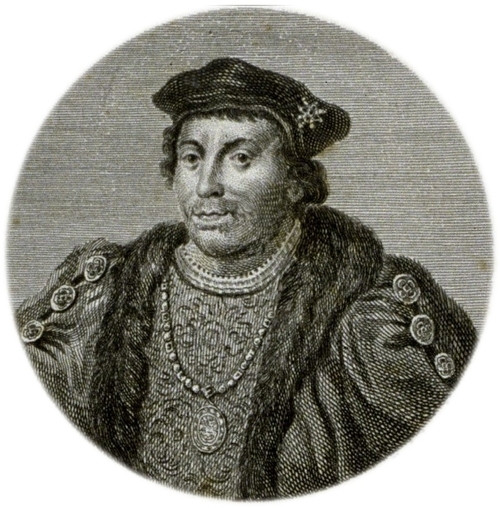 His chances of inheriting the throne would have seemed remote, but he played the role of a 'kingmaker' for Richard III and, unsuccessfully, for Henry VII. 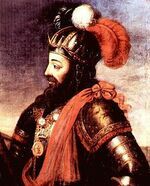 1479 – The Treaty of Alcáçovas (also known as Treaty or Peace of Alcáçovas-Toledo) was signed on 4 September 1479 between the Catholic Monarchs of Castile and Aragon on one side and Afonso V and his son, Prince John of Portugal, on the other side. It put an end to the War of the Castilian Succession, which ended with a victory of the Catholic Monarchs on land and a Portuguese victory on the sea.The four peace treaties signed at Alcáçovas reflected that outcome: Isabella was recognized as Queen of Castile while Portugal reached hegemony in the Atlantic Ocean. 1539 - William, Duke of Cleves, signed the marriage treaty promising his sister, Anne of Cleves, in marriage to King Henry VIII. 5 September 1451 –Birth of Isabel Neville,daughter of Richard Neville, 16th Earl of Warwick (the Kingmaker of the Wars of the Roses), and Anne de Beauchamp, 16th Countess of Warwick. 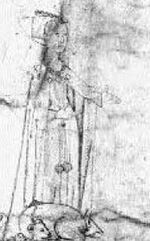 She was the wife of George Plantagenet, 1st Duke of Clarence. She was also the elder sister of Anne Neville, who was Princess of Wales, by her first marriage and Queen consort of England by her second. Has communicated the good news in the Emperor's letter of the 12th ult. to the duke of Norfolk, who seemed not only astonished but vexed at the perfect union of Germany. Not only did he tell some one that Chapuys had told him things with which the King would not be very pleased, but he seemed quite pensive and forbade any one to speak to him. Heard this from the Queen. His regret was increased by Chapuys saying that it was commonly reported that secretary Paget had gone to Germany to deal with the princes there. At this he changed colour, and seemed confused, but after a time said that if Paget had done this he acted on his own responsibility, for he was only commissioned to go to their ambassador. But this is improbable. After some conversation about the arrival of the Turk and of the Emperor, he began to speak of the interview between the kings of England and France, saying that he thought he knew something of the secrets of both Kings, and was sure that nothing would be treated of, except resistance against the Turk in case the Emperor were defeated. In this case, it was to be presumed that the Turk would march towards Italy, and the Kings were determined to go against him in person, and intended to consult about it at the interview. Did not choose to display any curiosity, lest he should seem to care much for what they might arrange. In answer to a question about the king of Denmark, the Duke said that the matter did not concern the King, and they had taken no pains to enquire; but the King had heard from Flanders that he had surrendered to his uncle. On parting, the Duke was more courteous than ever. On Saturday evening the Nuncio presented to the King the Pope's brief, exhorting him to send a power to appear in his cause. He told the Nuncio he had heard that it had been proposed in the Consistory to send briefs both to the French king and himself; but the trouble was wasted, for he would never do it. On this he put himself in a passion, as at other times, and said that if the Pope irritated him he would open the eyes of other princes, who are not learned as he is, and do not know that the real power of the Pope is very small compared with the power which he has tyrannically usurped, with his other usual threats. When his anger was cooled, he said he would consider the brief, and write his intention to the Pope. He then spoke about the Turk, and praised the Emperor's conduct; but he feared that his army would not be ready as soon as it was needed, and that the Turk would winter in Hungary so as to wear out the Emperor. He asked very particularly about the aid given by the Pope. 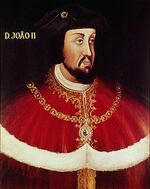 At Chapuys' request the Nuncio asked him about the king of Denmark; but he only said the same as Norfolk had previously said. The King said nothing whatever about his intended passage across the sea. On Sunday, before mass, lady Anne was created marchioness of Pembroke, with an income of 4,000 ducats. After mass, which was performed by the bishop of Winchester, the King and the French ambassador drew near to the altar, and signed and swore to certain articles. Dr. Foxe made a speech in praise of the alliance between England and France, of which God, not man, must have been the inventor, as it was the best means for resisting the Turk, and was inviolable and eternal. Then the singers began to sing Te Deum, and the trumpets and other instruments to do their duty. Has been unable to discover any of the details of this new treaty. Langez arrived yesterday. Does not know his mission, unless that it was arranged that the French king should send a gentleman when he left Brittany, and Henry should also send word of the day of his departure,—which will be soon, for they are to be at Boulogne and Calais on 1 Oct. The first meeting will be between these places, and they will return to Boulogne, and feast for three days. Henry will then go on to Calais to meet Francis on his way thither, and they will stay there together three or four days. Their joint safety will be provided for by soldiers from the garrisons of Boulogne and Calais. The lady will not leave Calais. The King seems never to have desired anything so much as this journey, for he does not care to talk of anything else. No one else wishes it except the lady, and the people talk of it in a strange fashion. The Council, and especially the duke of Suffolk, have spoken so plainly that the King insulted him several times. The earl of Oxford (Auffort), great chamberlain, said a week ago to a friend that he feared this interview would be the cause of great evils to the kingdom, and it was arranged only between the King, the lady, and the French ambassador. The repair of the Tower of London was begun a month ago. Some think it is for the Queen's lodging during the King's absence; but this is not credible, unless he wishes the people to mutiny. Some fear is felt of the Scotch, and all the lords and gentlemen of the North are ordered to put themselves in readiness, and it is said that 5,000 or 6,000 men will be sent down. Has just heard that the King has put off his journey for 10 days in consequence of the plague at Dover, and on the road thither. It is therefore intended to embark men and horses here. It will be difficult to provide ships, and unlikely that the King will run the risk at this season, so that it is possible that the scheme may be given up. London, 5 Sept. 1532. 1538-Cromwell's Injunctions to the Clergy. To keep all injunctions heretofore given by him. To provide on this side the feast of All Saints (altered from Christmas) next a bible of the largest volume in English to be set up in the church. To admonish their parishioners to read the same. To recite publicly the Paternoster and the Creed. To examine their parishioners upon them every Lent. To preach one sermon at least every quarter. To take down images, and not allow any tapers to be burned before them. To appoint curates in case of non-residence, &c. To keep a register of weddings, christenings, and burials. Not to alter any order enjoined for divine service; and other regulations. Signed: Thomas Cromwell. 1546-Prince Edward to Henry VIII. Of all the things that delighted him when with the King none cheered him more than the opportunity of seeing his Majesty, whose countenance excites his love, both because that is natural and because his father's care of him daily increases. Desires, therefore, to see again soon. Thanks for a buck. Hatfield, 4 Sept. 1546. 1548 – Death of Catherine Parr,she was Queen of England from 1543 until 1547, as the last of the six wives of King Henry VIII. She married him on 12 July 1543, and outlived him. She was also the most-married English queen, with four husbands, and the first English queen to be titled "Queen of Ireland". 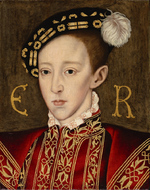 Catherine enjoyed a close relationship with Henry's three children and was personally involved in the education of Elizabeth and Edward, both of whom became English monarchs. 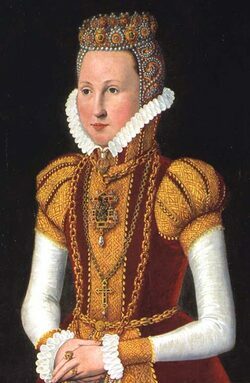 She was influential in Henry's passing of the Third Succession Act in 1543 that restored both his daughters, Mary and Elizabeth, to the line of succession to the throne. 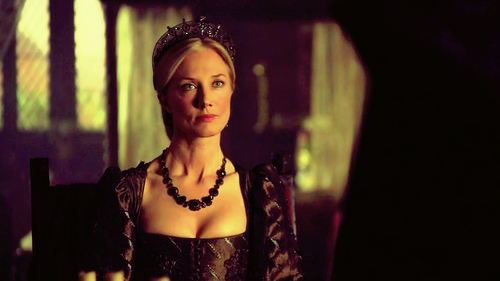 Catherine was appointed Regent from July to September 1544 while Henry was on a military campaign in France and in case he lost his life, she was to rule as Regent until Edward came of age. However he did not give her any function in government in his will. In 1544, she published her first book, Psalms or Prayers, anonymously. On account of Catherine's Protestant sympathies, she provoked the enmity of powerful Catholic officials who sought to turn the King against her—a warrant for her arrest was drawn up in 1546. However, she and the King soon reconciled. 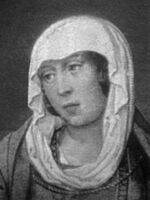 Her book Prayers or Meditations became the first book published by an English queen under her own name. She assumed the role of Elizabeth's guardian following the King's death, and published a third book, The Lamentations of a Sinner. 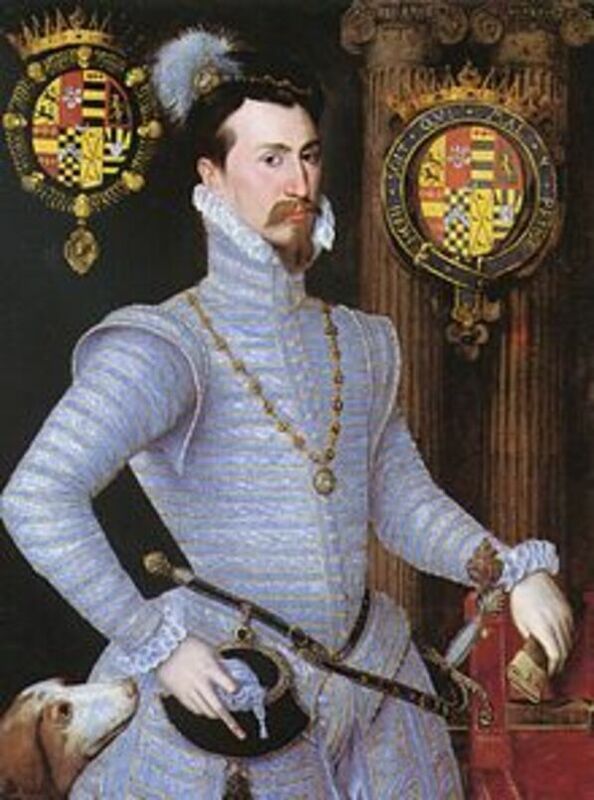 Six months after Henry's death, she married her fourth and final husband, Thomas Seymour, 1st Baron Seymour of Sudeley. The marriage was short-lived, as she died in September 1548, probably of complications of childbirth. 1590 – Alexander Farnese's army forces Henry IV of France to lift the siege of Paris.